I do not remember the moment I learned that the many Santas that we encountered in person or saw on TV were “not real”; the fact that there was no “a-ha” moment leads me to assume that I never bought the story. Maybe so; maybe not. There is at least one photo of my sister and me in a “portrait with Santa,” and I remember the typical session. I knew the fellow was not Santa and I did not feel betrayed by this; I knew it was a guy overheating indoors in a snowsuit. It did not make much sense to me, to be a grown-up wearing a snowsuit indoors, but I did not envy adults the many things that they did, said, claimed, acted as if, and always eventually insisted made sense. My desires for Christmas were always selfish. I wanted “stuff” for Christmas, but really I had fun imagining the life I could be living … if only I could get the things I wanted from the many catalogs we received in the mail. I lacked imagination otherwise. Rarely did I get what I wanted, or what I convinced myself that I wanted. I do not know why or how my family received so many giant Christmas catalogs from the various department stores (a dozen or so) that then dominated the retail landscape; perhaps every suburban family received them in the ’70s, but I knew my way around the catalogs like a medieval scholar rereading a saint’s life. 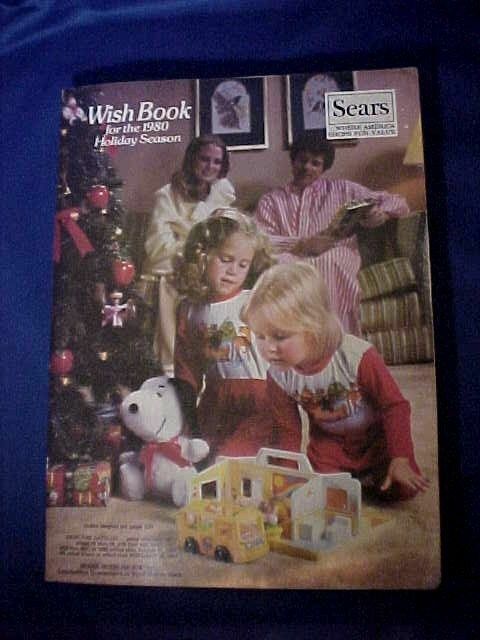 The holiday catalogs—Sears called its Christmas offering the “Wish Book”—were hundreds of pages long, and at least one of them per year would top 1000 pages. They were printed on thin paper and weighed many pounds apiece, with pages so saturated with color ink that their smell was unmistakable. I could always sniff out whether the magical books had been taken out and consulted during my day away from them at school. I would search them for any new tell-tale creases left behind by my parents in the pages. I never found new creases—never!—in the toy pages. Some of the books had color bars along the side so one could quickly find one’s favorite section. 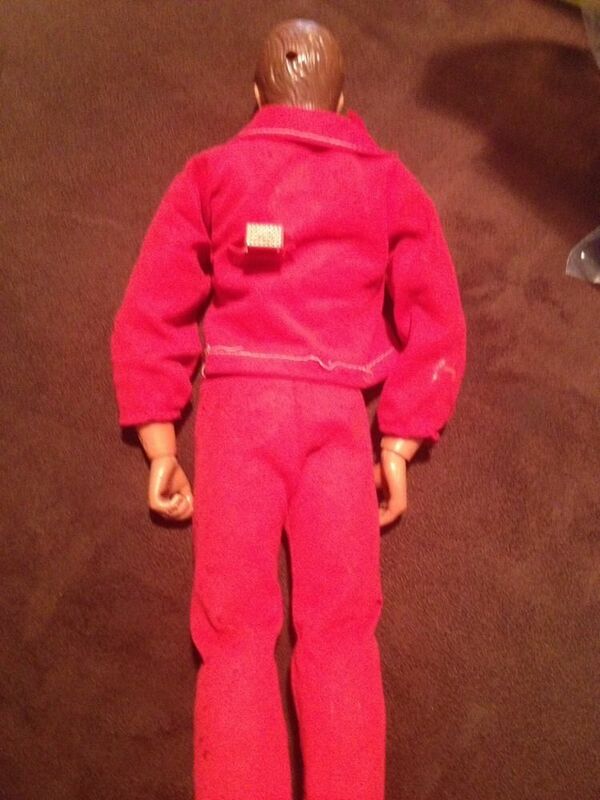 As I got older, I graduated from coveting model cars and not very movable action dolls to desiring electronics. I did not dream of clothes for Christmas, nor did I understand why there were pages devoted to clothes at all—those struck me as a waste of space and ink and my precious time while searching for the toy pages (ignoring the helpful color codes on the side). There is a nostalgia market for copies of these vintage catalogs, as can be seen by my illustrations. A copy of the 1978 Montgomery Ward Christmas catalog was available last year for just under $20 on eBay. If my parents had held on to every copy of each store catalog we received every Christmas, well, I would have different parents than the ones I have. The epic, cuboid-shaped retail books were usually gone from our home shortly after the “order by” date had passed every year. The pages that I really loved in the catalogs sold the model car tracks. Not the model cars or radio-controlled cars. The tracks. (See illustration at the top.) Mind you, any track that I ever actually owned myself was a simple oval, and, left to my own construction, I would somehow have sections unfinished and unfinish-able and unmatched leftover pieces of track. (Later in life, I wrote instruction manuals.) But I desired a multiple-lane highway of a Matchbox track, a complex of exit ramps and traffic circles. Some of the kits even came with stop signs, and I aspired to be the Robert Moses of my bedroom. Look at this page from a Montgomery Ward catalog, at the top of this column, with its huge illustrations and dense, descriptive copy. The track depicted on the bottom right, with its merging lanes and underpass, has me envious all over again. “Wish Book,” indeed. The one time I played with a radio-controlled car on one such elaborate track was at a friend’s house; he had it set up on his living room floor, which made little to no sense to me, and the moment he handed me a controller, my car flipped off the track, rolled under a couch, and re-emerged for a split-second just before falling off the landing to the hardwood foyer floor below. (This may explain my lifelong hatred of split-level houses.) We looked at each other during that two seconds of loud silence that always precedes the unmistakable sound of irreversible destruction. I do not remember being invited to his house again. I wanted the ultimate magic kit, too, and as with anything advertised in the catalogs, the magic kits grew more complex with higher prices. They all included a “magic wand,” a wooden dowel painted black, or, in the more expensive kits, painted with a white tip. In all the kits, from simple to pricey, the tricks were easy to follow, both for the performer and, unfortunately, his audience. Most of the tricks in magic kits are the basic shell game and some variations—balls and cups—or include a set of pre-marked cards or a dummy set of all aces or jokers. The lesson in kit after kit, year after year (my parents are patient people) was an easy one that I rejected time after time: that real magic is only possible through cheating or hiding the fact you, the performer, are cutting corners. This seemed like more nonsense from grown-ups, like a fake Santa. As a result, I would lose interest in each magic kit within weeks or months, but I wanted a new kit every single Christmas. For me, most magic kits emphasize the word “trick” and lose that word “magic,” and I think what I wanted out of a magic kit was to learn a trick that would take its performer for a ride as much as it did the audience. I did not want to learn how to perform the tricks; I wanted to perform them. I wanted to be astonished, too. I believed that such magic existed. And every Christmas, I believed that it would arrive in a cheap cardboard box of tricks with easy-to-lose balls and cups. Somehow I was never disappointed; the magic simply wasn’t in this particular box, it may have been in the one next to it on the shelf, I told myself. Maybe next year. Ah, well. Life’s magic does exist. And it astonishes its performer and takes him for as much of a ride as it does his audience. The magic may in fact be in the next moment or the one just behind it on the shelf. Because I know Santa Claus. Always did. He’s always a few doors down the street, just out of sight and sound for the moment. Happy holidays, all of them, from my family and friends to you and yours. Thanks for stopping by, Mark and a Merry Christmas to you.